There’s a law cinemas don’t wand you to know about. 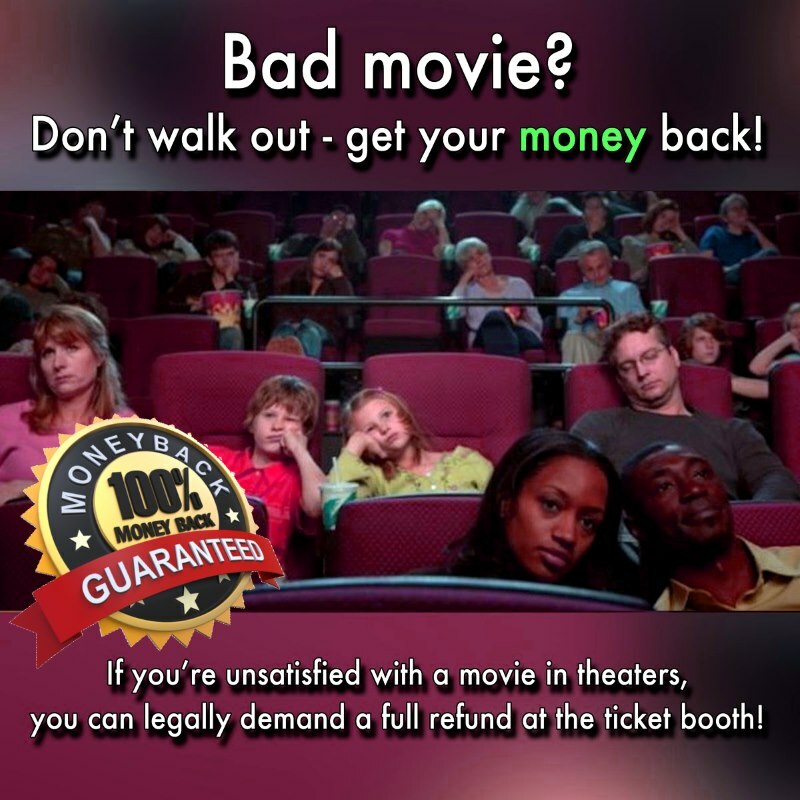 If you’re unsatisfied with a movie in theaters, you can legally demand a full refund at the ticket booth. The only twist in the story is that you have to wait until the end of the movie to avoid “premature decision-making”. You don’t have to justify the reason why you didn’t like the movie, they have to fully refund you without asking any question. The law is part of the Motion Picture Content law, section 21 and it’s applicable in all US states.